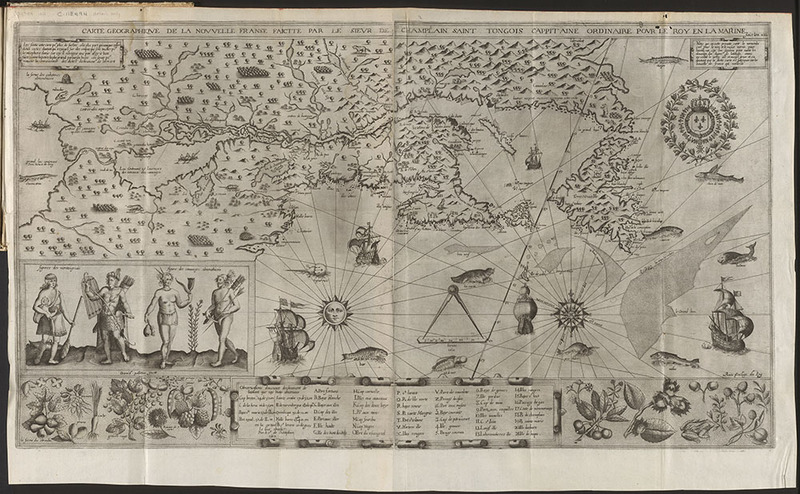 In the fall of 1612, Samuel de Champlain had an engraving of his first detailed map of New France made in Paris. 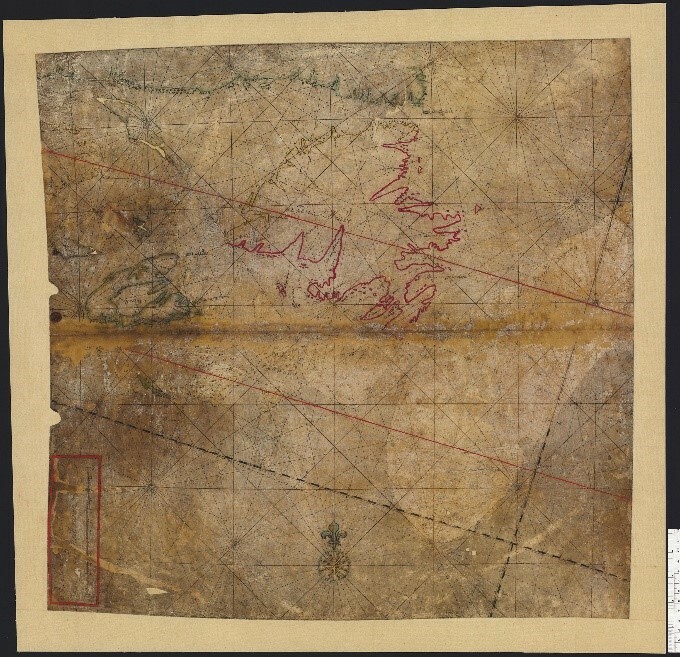 The map contained new geographic information, based on his own explorations from 1603 onward. The site of Montreal is clearly identified. Using information obtained from Aboriginal peoples, he was able to include previously uncharted areas, such as Lake Ontario and Niagara Falls. 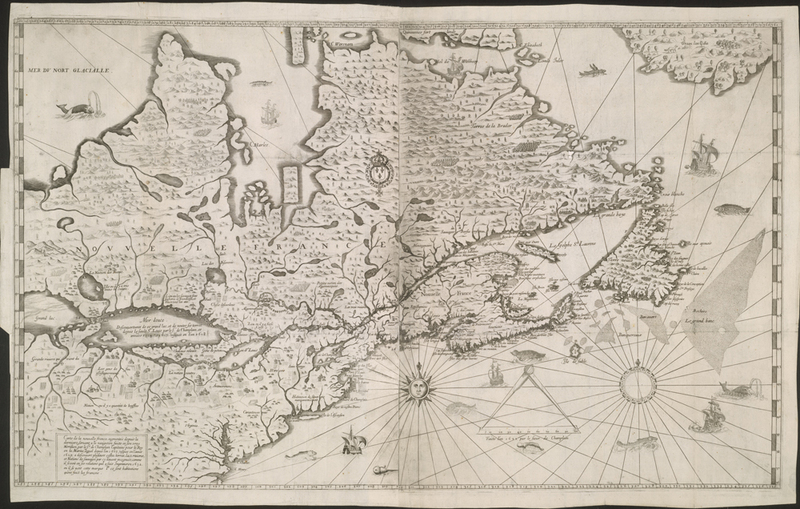 He also made use of other maps to depict certain regions, including Newfoundland. Although the engraving was made in 1612, the map was not published until the following year as an appendix to Voyages, Champlain’s 1613 account of his journeys. While back in France in the summer of 1613, Champlain had an engraving made of a second version of a general map that he had begun the previous year, which he also published in his 1613 book. In that map, he incorporated his most recent geographic findings, including the Ottawa River, which he was the first to depict. 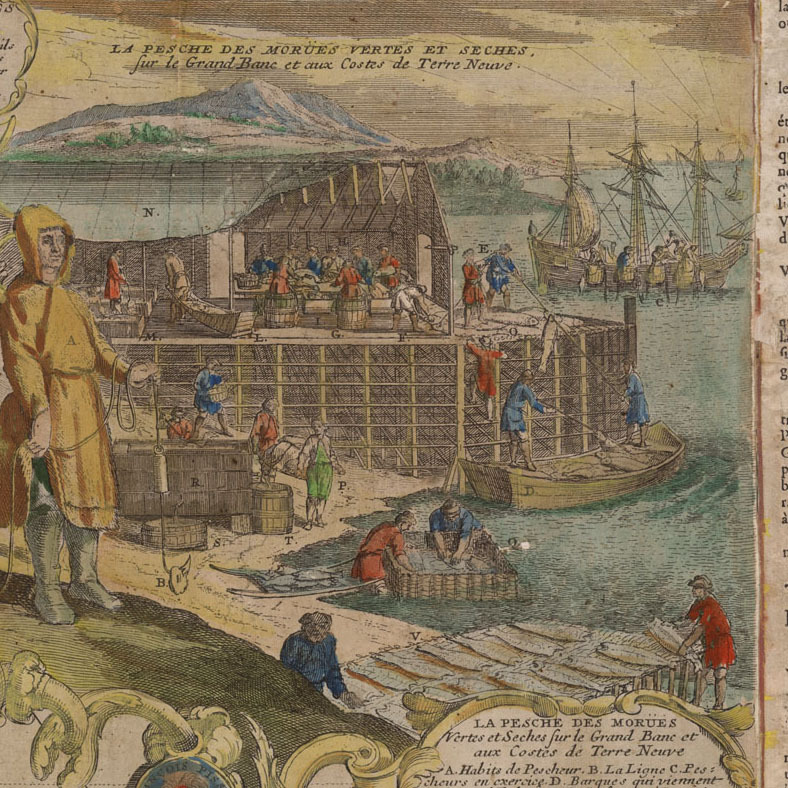 His depiction of Hudson Bay was deliberately inspired by a map of Henry Hudson’s voyages (source: MIKAN 4145717). 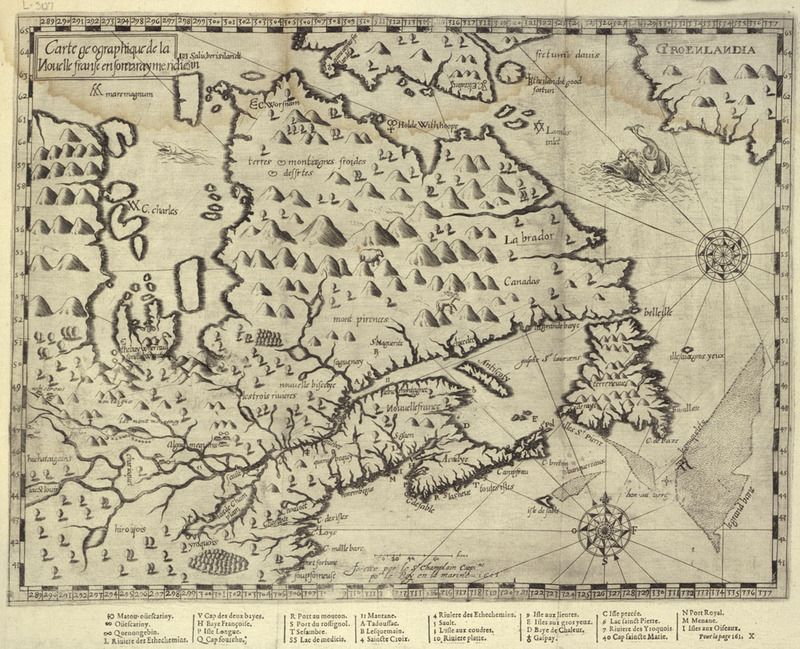 An incomplete general map by Champlain also exists. The engraving was made in 1616, although the map was never published. The only known copy is held by the John Carter Brown Library. Suggested reading to learn more about this subject: Conrad E. Heidenreich and Edward H. Dahl, “Samuel de Champlain’s Cartography, 1603-32”, in Raymonde Litalien and Denis Vaugeois, eds., Champlain: The Birth of French America. Sillery: Les éditions du Septentrion; and Montreal and Kingston: McGill-Queen’s University Press, 2004, pp. 312-332.